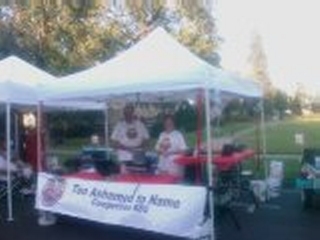 Here's we are at the 2008 West Coast BBQ Championships in Fairfield, Aug 16th. Kudos to the AT&T Tilt smart phone engineers for the high quality built-in camera phone. Have you ever seen such detail and vibrant colors? 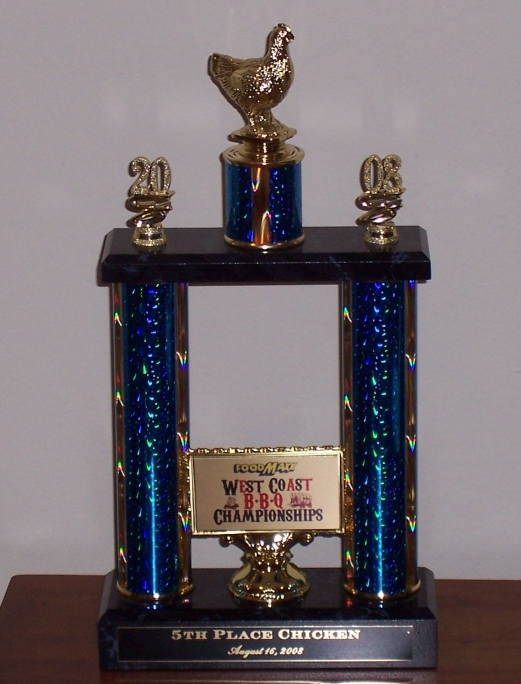 And here's the gold we won at this event - 5th place in chicken. This was our first walk and a huge thrill for us. It sounded like everyone there was cheering us on, and I was speechless with disbelief.